Foreclosures can offer a nontraditional yet valuable investment prospect. Many individual buyers and companies are attracted to foreclosures for the chance to find properties at discounted prices. Properties and equipment that have gone through foreclosure are called “distressed assets,” and many consider them worthwhile investments. 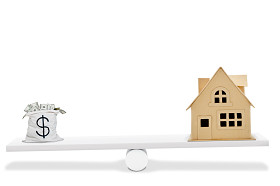 Why are prices for foreclosures enticing? Banks and mortgage lenders may repossess properties when owners default on their payments. However, the lenders want the property only for the value that is represented. They are not motivated to sell the property under any markup, but merely to recoup the loan amount. This means bargains can be found and smart investments may be made for real estate buyers and companies. Many homeowners who face a serious change in income or lifestyle may need to get rid of their home quickly. Rather than face the painful hit to credit that results from the lender forcibly reasserting rights to the property through foreclosure, some companies help owners sell their homes through pre-foreclosure sales. Buying a property in this stage of foreclosure means approaching the borrower/owner with an offer to buy the home outright. Buyers have the opportunity to research the title and condition of the property. Commonly, homes in this stage of foreclosure can be purchased for 20-40 percent below market value. Most foreclosures can be averted through negotiating with lenders. Non-payment periods, repayment plans or even loan modification can often help borrowers get back on track and keep control of their home. However, it doesn't always work. If a loan is not reinstated and the default amount repaid by a certain period of time, lenders may opt to offer the property at a public auction. Buyers are often required to pay in cash at the time of the auction, and may not be given time or resources to research the title and property condition. However, public auctions often offer investors the best deals and limited problems. In many cases of foreclosure, depending on state law and lender preferences, the bank or mortgage company will take back ownership of the property. The company has no use for this property. They wish to regain the monetary value of the loan. So, many companies will resell the property through private arrangement, auctions, or court-led sales. In these cases, the lenders will typically clear the property tile and perform needed maintenance and repair. Investors have less to worry about in this regard, but will be hard pressed to find the deep bargains available through pre-foreclosure or auction sales. In some cases, the mortgage loan is backed by a government agency such as the Department of Housing and Urban Development (HUD). In this case, the government agency is responsible for repossessing and selling the property. To effectively find and buy foreclosed homes, ensure you've done your research. Sites such as RealtyTrac offer foreclosures data through a listings database of pre-foreclosure and auction properties across the country, as well a nationwide bank foreclosure list. Learn more about foreclosure types, foreclosure problem, straw buyers, how to avoid foreclosure, and more in our continuing series.